Vintage Rug Event at Gum Tree…and more! 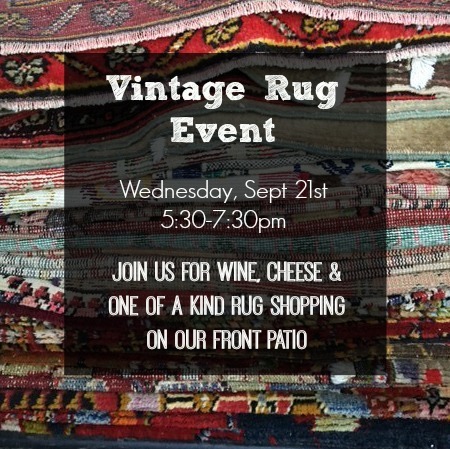 There’s a lot going on in Hermosa Beach this week…starting with our first ever Vintage Rug Event!!! Hope you can make it this Wednesday evening for a glass of wine and shopping for some really beautiful rugs. We’re bringing the flea market rug experience to the front patio at Gum Tree. One of a kind Turkish and Moroccan rugs, lots of sizes and styles, at amazing prices. Bring some friends and make it a night out. We’re keeping the shop open late as well…and we’ve got so many new arrivals in to help you spruce up your place for the fall season. Vintage kantha throws, beautiful pillows, coffee table books and ceramics too. 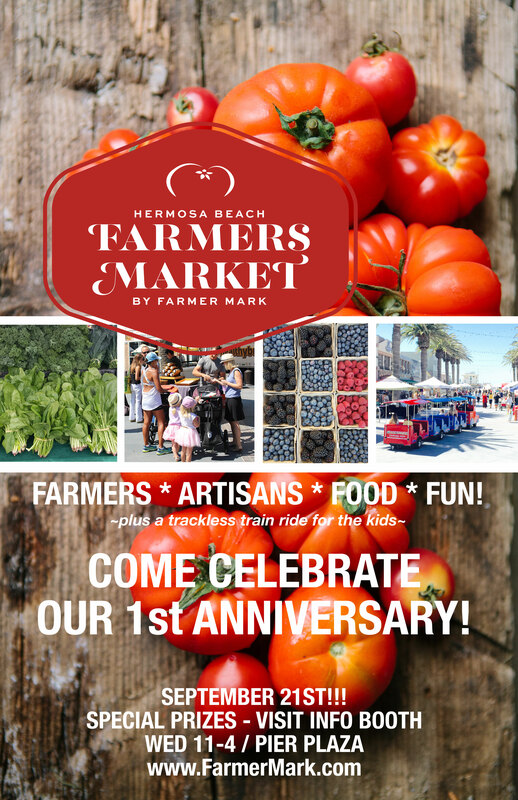 Our Hermosa Beach Farmers Market on Pier Plaza celebrates it’s one year anniversary Wednesday. Bring the littles down for a ride on the train and a walk on the beach. Then back to the market for fresh produce, flowers and lunch! Come celebrate the fine art and photography of fifteen South Bay artists under the age of 15. The exhibit, entitled “15 Under 15,” is the product of a youth art program by local Hermosa Beach artist Rafael McMaster. The exhibit, held at 49 Hermosa Pier (on the Hermosa Pier plaza), will open Saturday, September 24th from 3-6pm. Open weekends through the month of October as well. For more information about the exhibit, or Rafael’s art programs for kids, please contact Rafael@rafaelmcmaster.com.